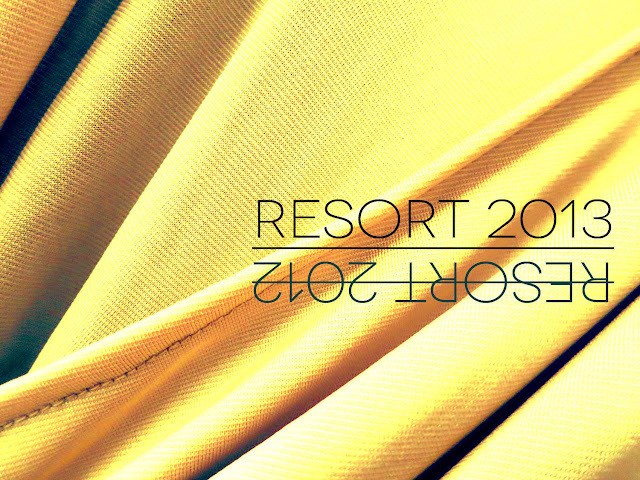 In a few hours, we will be meeting up with Erzulliestas for the Erzullie First Look: Resort 2013 event. We have been doing this for a year now, but each and every time, Erzulliesta events like this happen, I will be honest, I have butterflies in my stomach, specifically when I am the one responsible for a collection. This Resort 2013, I am responsible for all of the designs. I will be presenting later and there are a lot of news to share, events to invite our Erzulliestas too and of course, the whole shopping/bonding experience that our sisters in fashion is about to do later. In my heart and mind, I am a little nervous because I am wondering if I got what the Erzulliestas wanted "right". Last year's Resort 2012 first look (the first ever, first look) was a huge success indeed, but of course, I always go around asking them what would they want to see on the next Resort collection or what they think is lacking in the collection this year. I remembered that they are requested "more color" for the collection. So this year Resort 2013, I made sure that I have prioritized that somehow. It still has the toned down and grounded hues but the Erzulliestas are my boss. Color is their request and so, I must incorporate that this year as well. Hopefully, later, they love the collection. I actually dedicate it to all the Erzulliestas that knows how to treat themselves right after a hard day at work, whether it's a planned luxurious vacation in the Saharan desert or just their preferred alone time at home curled up with book and drinking their favorite beverage. Crosses fingers. Let's do this! ERZULLIE FIRST LOOK: RESORT 2013!